It's all OK now. He apologized. He didn't really mean it, y'see. And he loves the Jews. My old man taught me there were three kinds of Jews. Apple Jews, Grape Jews, and Orange Jews. A Jew goes to China on vacation. At a restaurant he asks the waiter if there are any Jews in China. The waiter said "Yes, we have orange Jews and Apple Jews." Guy probably went to the same school as john "Guam will ink" lewis. we'd have to pay for sunshine. I didn't even need to read past the headline to know what the speaker looked like ... and to place my bet that he's best buds with Farrakhan. How is it that this kind of blatant racism and insanity doesn't get him hounded out of office in a heartbeat? 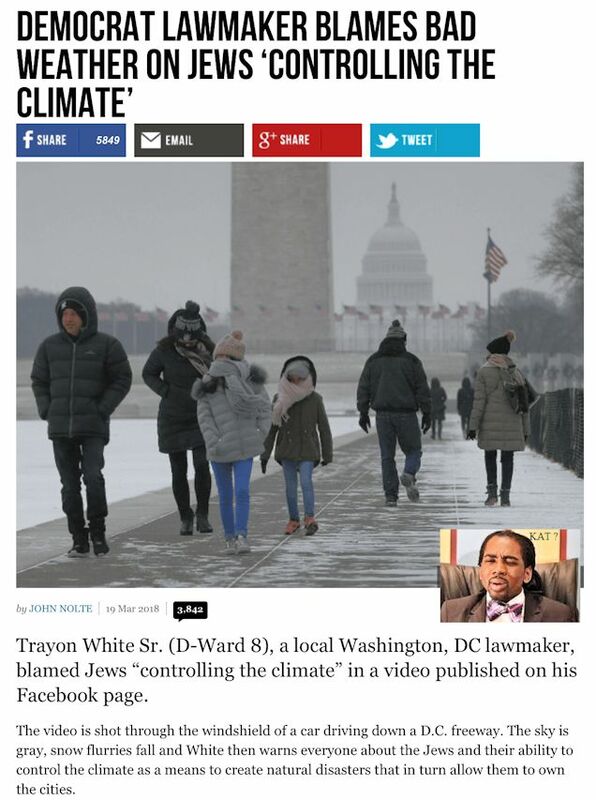 Because History is no longer taught, the fact that Jews were at the forefront of the Civil Rights movement (including some, like Schwerner and Goodman, who gave their lives) has been lost on several generations of blacks. But then, blacks have never been known for being grateful or gracious. Besides routinely cutting off their own noses to spite "Whitey" (like when they're GIVEN freshly-built housing and they trash it and cause it to eventually have to be torn down! ), they routinely mistake their friends for their enemies. It's such a rare pleasure to encounter blacks whose worldview ISN'T irretrievably fucked-up.